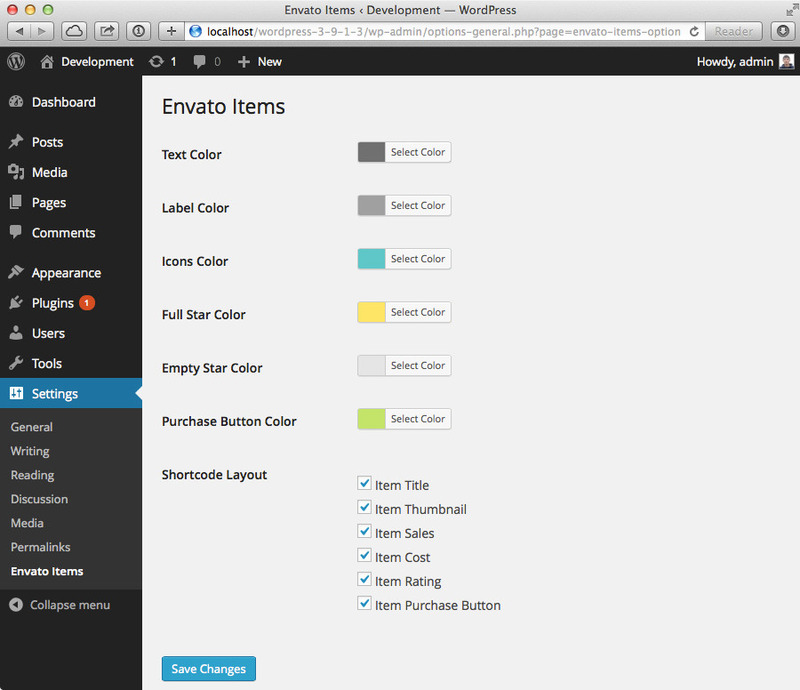 The plugin allows to promote your Envato Marketplace Items inside your WordPress blog. 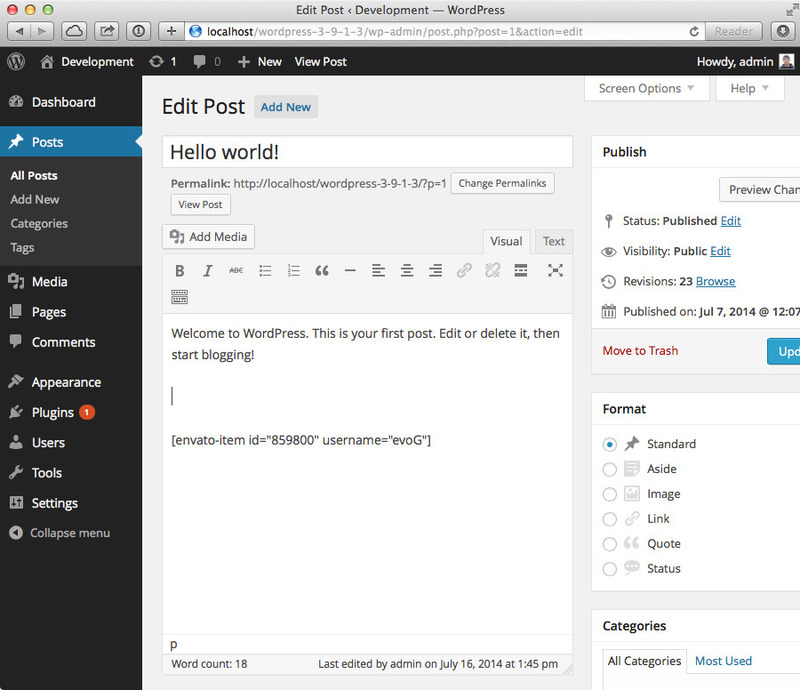 Using a simple WordPress shortcode you can display some information about a Marketplace Item. The plugin was rebuilt from the ground up to make it compatible with latest version of WordPress and modern design. It’s completely customizable and ready in a few easy steps. All colors can be customizable. !! NOTE FOR SUPPORT !!! : The support requests must be submitted via private message or email. All comments that contain support requests will be ignored!